This level has hard difficulty. For this level try to play from where more candies available to play and make striped candy. Combine striped candy with colorbomb or play from bottom to shuffle candies as it will give more chance to make special candy to complete the orders. You can watch the video to get more help. I am a big fan of Cand Crush Saga. At the moment I am playing level 1180. While playing this game has frozen a few times & the level is a bit difficult to clear. When you mix colour bomb with a stripped candy this completely destroys the rest of colour bombs & stripped candies making it difficult to clear the level. CC level 1180 has been changed and is totally doable now! omg its impossible to finish this level please fix it i already waste alots of my drops?? This level 1180 is really difficult. You can’t beat this level without boosters. It destroys all the Colorado bombs with the first combination and then it’s hard to make any stripe candy combos later. 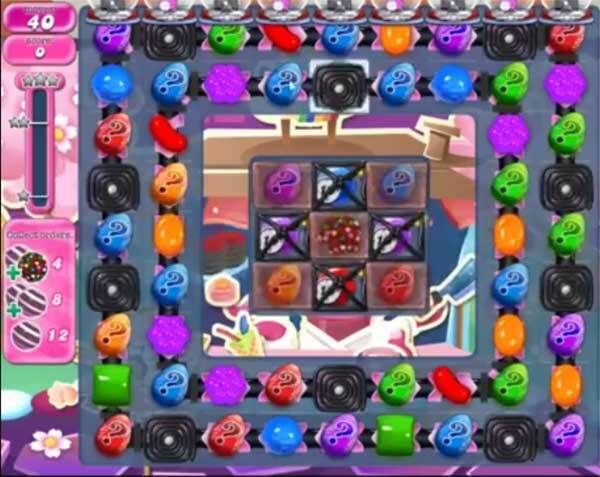 Best bet is to match special candies at the start and get as many stripe/stripe combos as you can before the mega explosions clear the board of all special candies. Color bombs are fairly easy to make but the stripe candies that you need are very difficult to make (and especially combine with other stripes). Wrapped candies are useless. You can burn through a lot of switch boosters (hand). I haven’t completed this level (got to needing one stripe/stripe and one color bomb/stripe). Most difficult level ever because you cannot use boosters at the end to complete the orders. You need a SUPER lucky board to get through this. That´s the end of the game I think, nobody can get it!!! Today I saw a complete different level 1180. I tried the old level for weeks and didn’t pass it. Am I right or just dreaming?? Worst level ever. Impossible to do. I’m not going to spend a bunch of money so i can pass this level. I’m done? I only have episodes to 1160; when can I expect more. This has to be the worst level. It is almost impossible to win. When you get your color bomb and mix it with a stripped candy you lose everything and then it’s almost impossible to get 2 stripped candies together. This is not a medium it is difficult and you need to buy your way through it if you want to move on!!! Horrible board. I’ve been playing it for at least a week and can’t even get close to beating it. Medium level? In your dreams. I passed! It took a dozen hammers and switches. I also needed to Play-On extra moves twice. I saved up a big stash of free boosters and gold bars from Sugar Drops. I am not proud. Most people that pass this level use a ton of boosters. This is the worst level ever. I have enjoyed playing Candy Crush and look forward to the new games every week,but this level is impossible. l will not continue playing! I agree – this level is somewhat ridiculous. There are others that were hard, but I don’t see any way to pass this level without many boosters and I am not buying any! Been on level 1180 for over a week now. I have to say this level is boring and the worst ever. I am done!!!!!!!! Dit level is echt niet te halen. Ik speel Candy altijd met veel plezier maar ik denk dat ik nu ga afhaken en met mij velen. Tip maak hem makkelijker dan blijven de spelers enthousiast. As if its not hard enough. It freezes , time to find another game. This level is too hard. Make it easier . Everybody is complaining about it. I love to play Candy but i think i’ll stop now. This level is really not. I play Candy always with great pleasure but I think I am about to drop out and with me many. Tip make him easier than the players remain enthusiastic. I hate this level..when you do get a good board that you might pass. it freezes..i do not want to use my boosters scared I will lose them all and still not pass.. I agree with all the above Bye Bye Candy Crush !. This level is ridiculously stupid difficult. The CC people need to fix the issue with it soon or they will be losing many more players than they have already. On the King site the moderator Johnny Ryall said they won’t be changing this level. According to him, hundreds of thousands of players have passed it. I find that hard to believe. There are two games of 1180. On the IPad it is impossible with the moving columns but on the PC I did this level in only two tries as it was very easy just clearing jelly. What is going on??? Goodbye Candy Crush, when it is frustration instead of fun I’m done. This is a boring level !! Well watching the video at the top I don’t know about anyone else but on my game I don’t get a candy ball every time I make a match. So you might as well show us how to beat this level with normal plays like with a bomb being the gift after making matches, not a darn candy ball! I’ve been playing this level for a few weeks I’ve spent money buying any kind of help I thought would help with this level and even extra moves, no more a few more tries and by by! I stop playing candy crush because of 1180 level. It’s boring couldn’t do half of the orders. Pls redesign this stage…. I have a complete different game on my phone & iPad that’s on video & mine is impossible to pass help !! !